Athletics has raised $ 102,840 from 347 gifts! Duquesne Athletics Alumni and Friends thank you for your continued generosity to Duquesne University and our student-athletes. 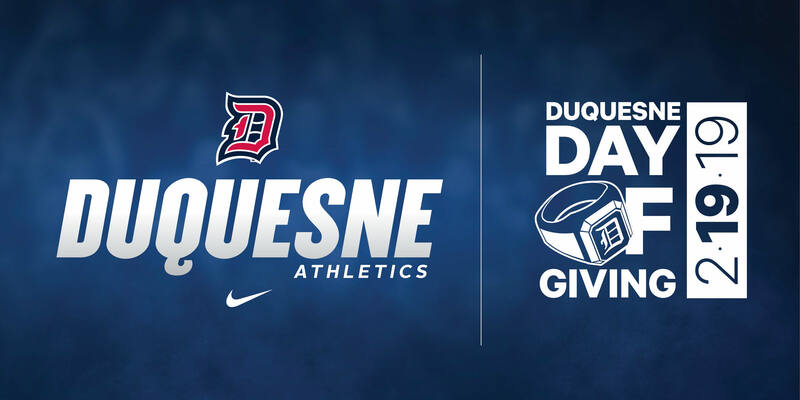 In the classroom and in competition, your support has helped pave the way for a revitalized commitment to Duquesne Athletics – we wouldn’t be in this exciting position without you! Duquesne Athletics continues to fund a broad-based sports program focused on academic and competitive excellence. Central to that is ensuring Duquesne Athletics continues to develop into a stronger brand locally, regionally and nationally while also providing a first class, DI student-athlete experience and building championship contenders within the Atlantic 10 and Northeast Conferences. The facility, as well as the new programming to happen within it, fully aligns with the department’s strategic plan for success. The primary objective of the renovation was to reimagine a space that would transform the entire student-athlete experience. From competition to classroom, this is as one-time opportunity to truly reinvent and modernize how Duquesne Athletics looks, feels, acts and performs. Create a comprehensive athletics facilities plan that impacts all teams and centralizes the athletics department. Develop an academic and leadership training center. Serve the entire campus population by creating indoor programming space not previously available. Provide more space and opportunities for community engagement, particularly within the Uptown neighborhood. Upgrade the existing plaza and external facade of the facility. The renovation project will result in the complete transformation of the facility and the impact is far reaching. From a face-lift to elevating student-athlete performance to engaging the greater campus and Uptown communities, the new UPMC Cooper Fieldhouse will not only affect every aspect of the student-athlete experience, but also provide an opportunity to serve as a center for community engagement, events and activities. You can learn more about the renovation project by going to www.DuquesneAthleticsFacilityRenovation.com. Every donation matters. Your generosity can help provide our 400+ student-athletes, our future leaders, teachers, nurses, artists, business men and women the space and tools they need to pursue success in the classroom, in competition and out in the community. Passion and loyalty take many forms, we are thankful for your past support and appreciate your continued generosity.